April 2, 2019 | 10:00 a.m.
Fr. Bob Haskell assists Bishop Love as Canon to the Ordinary in the Episcopal Diocese of Albany. In this role he advises and encourages the clergy of the Diocese as well as supports both clergy and lay people as they seek to lead their parishes in evangelism and disciple making. Fr. 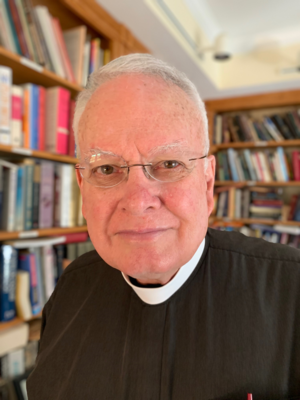 Bob has served parishes in Binghamton, Syracuse, Philadelphia, and Oneonta, as well as filling in in several parishes in the Diocese during vacancies. He lives in Burnt Hills and is married to Margaret who is also active in Diocesan administration. They have two grown children, Matthew and John. A light lunch is available after the service in the Healing Center. A donation of $5 is appreciated but not required. All are welcome. All are welcome.